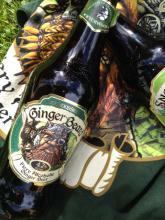 Have to admit, I love ginger beer. Not the sickly sweet ones. 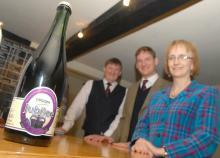 Those that prickle the back of the nose with a invigorating fieriness. But I'd never really given much thought to drinking them with food. Then yesterday I saw the light. We were matching Sriram Aylur's delectable canapés at Quilon with a range of fruit and ginger beers, and to my mind – and several others too – Ginger Beard proved a pretty versatile tipple. 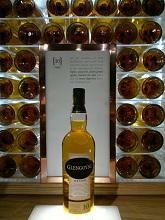 Glengoyne are very proud of the fact that they distill their whisky more slowly than anyone else in Scotland. 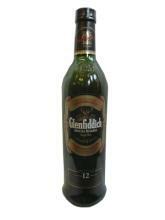 They say it makes for a lighter, smoother dram. The 10 Year Old showcases this pure expression of the spirit – no fancy first-fill casks, just the flavours of the whisky itself. Immediately attractive, the nose is a sweet, soft mixture of fresh grain and honey, followed by green fruity notes of apples and pears. On the palate there is lemon fruit, which combines with the honey notes to give a suggestion of lemon toffee bon bons (one of my favourite sweets!). 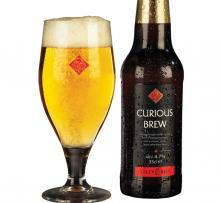 £30/70cl, widely available from specialist retailers. 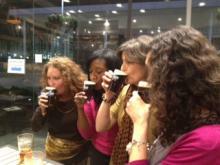 A queue quickly formed at the Tap East bar in Stratford on Tuesday night after a pint glass had been tapped to announce the much-anticipated unveiling of Chocolate Cyn, the result of an all female brewing collaboration between Sara Barton of Brewsters Brewing Company in Grantham and three beer writers. 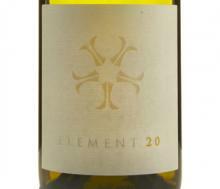 Element 20 2010 is one of the most complex still English wines I have tasted, with a fine juxtaposition between the tart zestiness of the Bacchus and the stone-fruit complexity of low-yielding, barrel-fermented Chardonnay. With hints of honey and acacia, and a seriously long finish, this is a great example of what can be achieved – admittedly with more than a little care and attention. But then the winemaking duo behind this, Aussie John Worontschak and Kiwi Sam Harrop MW, have created wines of depth all around the globe.